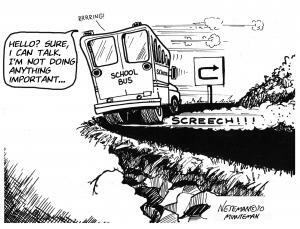 Most of us see school buses as the things that bring traffic to a halt on our way to work. 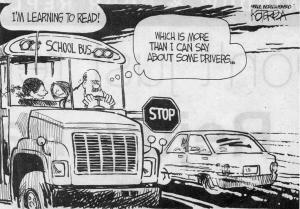 We envision a school bus driver that’s had one too many cocktails, with a scruffy beard and cigarette dangling out of their mouth as they haul off other people’s children to school. 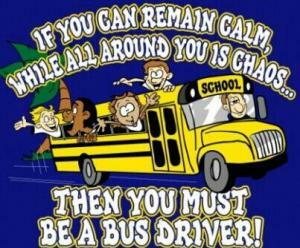 Unless you’re a parent, then you may think of supernatural school bus drivers that can fly and land your child safely in front of school with no incident. 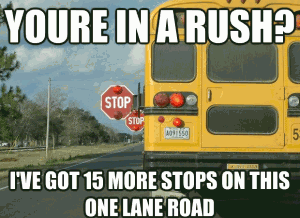 Here we have the funniest school bus driver jokes from all over the Internet. 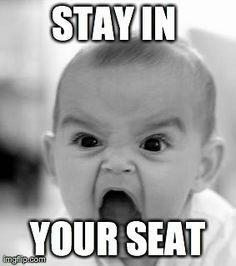 We’ve sought out anything funny, popular or viral to share here with you. We are always adding new content to this section so be sure to check back often. 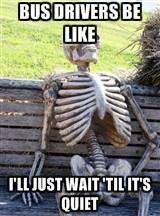 While you’re browsing our collection of jokes, be sure to rate your favorites and share with your friends and kappit! go me mr. pence your drunk. 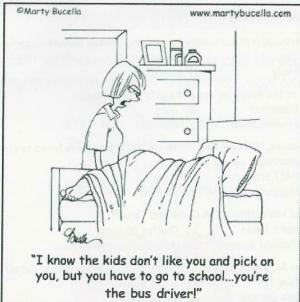 "I know the kids don't like you and pick on you, but you have to go to school... you're the bus driver!" 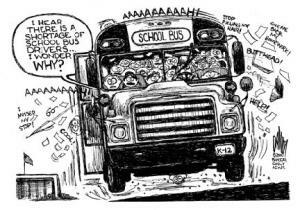 I drive a school bus with 40-60 screaming kids. 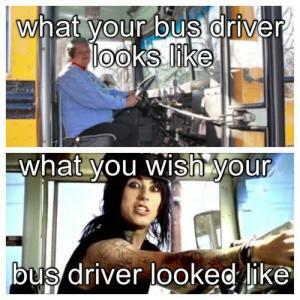 Watching them in a mirror while trying to drive a 40ft+ box on wheels. 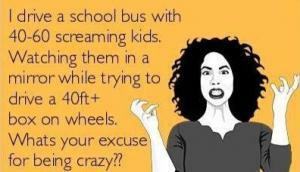 Whats your excuse for being crazy?? 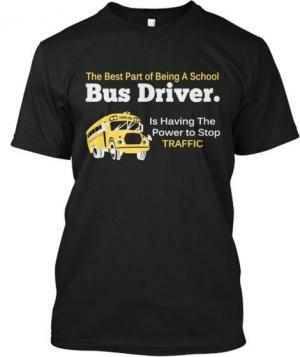 Then you must be a bus driver! 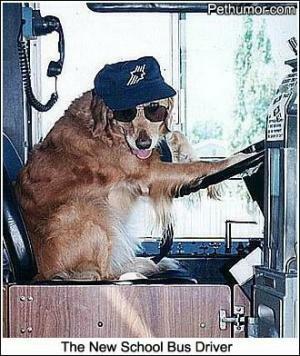 I hear there is a shortage of school bus drivers... I wonder why? 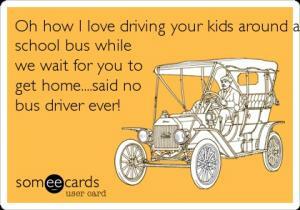 Oh how I love driving your kids around a school bus while we wait for you to get home.... said no bus driver ever! 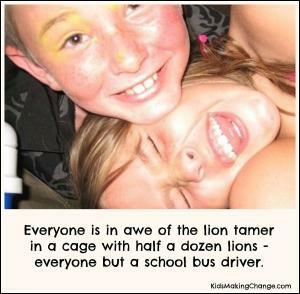 The best part about being a school bus driver. 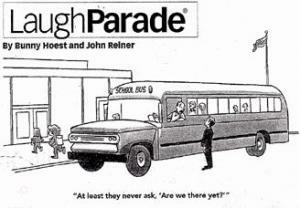 "At least they never ask, 'Are we there yet?'"